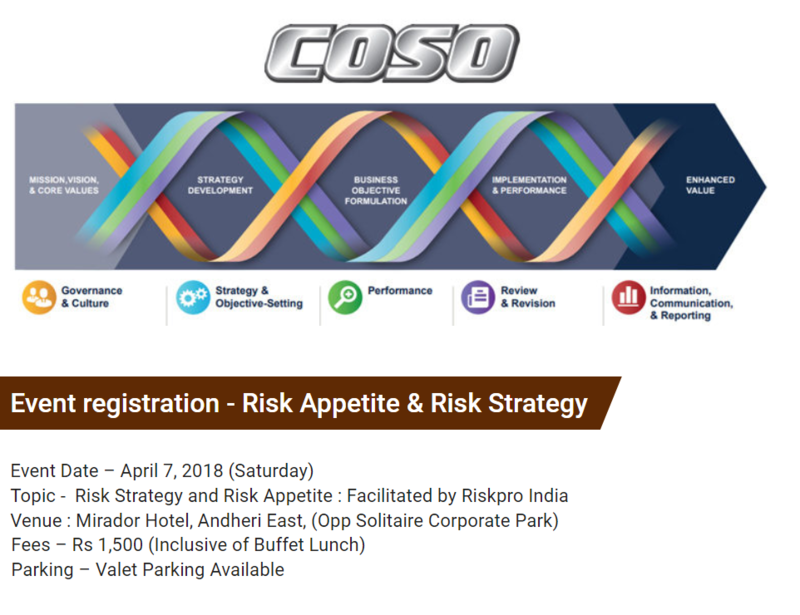 COSO Enterprise Risk Management 2017 is here. And one of the most important changes in ERM is that ERM ties back to strategy and business objectives. ERM is no more an isolated practice followed by Risk Dept. It is a value enabler. You are invited to an enriching discussion and debate as industry risk experts debate out what exactly is Risk Appetite and how to build Risk Strategies. There is a small fee for participation to cover expenses. Prior registration / confirmation is mandatory. Please enter your data on the form link below.